I saw the light – and I wish I hadn’t. I am normally in favour of illumination, mind you, but not through the side of my slipper. You see, these are no ordinary slippers. I have had these sheepskin slippers lo these many years. I wore a mould of my foot into the fleece so long ago I can’t even remember. I wore right through the fleece in places some years ago, and now, it appears, I have worn right through the leather as well. The stitching, can I just point out, is as firm as ever. These slippers have been a largely unnoticed part of my life for so many years. I have worn them in tropical climes and in allegedly temperate climes. I have worn them in winter and I have worn them in all but the height of summer. I have even spilt ink on their tops while refilling a fountain pen (for that personalized writerly look). Since I don’t wear shoes indoors (regardless of what FlyLady says), they are my feet’s near-constant companions. If I’m at home and awake, I am probably wearing those slippers. (Now, for instance.) I have rather low blood pressure, which means my circulation is not all it could be, which means that my feet are easily susceptible to cold. Therefore, the slippers. I have had them for so long I began to take them for granted. Now that I think about it, I’m pretty sure I’ve had these slippers for about fourteen years, give or take half a year. Going on for half my life. Good quality, yes? They’re Paddy slippers, made by Golden Fleece, if anyone wants to Argonaut forth to secure a pair of these wonder-slippers for themselves. And now, alas, the end is nigh. In accordance with the old motto of “Make Do and Mend” I considered taking them to the cobbler for a patch. However, not only have I worn most of the wool right off the sheepskin, I have also worn the grip right off the sole. I am therefore compelled to admit that it might be more sensible to acquire a new pair. After all, “Use it Up, Wear it Out, Make it Do or Do Without.” I’ve done the first two, at least. But the guiding principle of simplicity does not knock off for the weekend, simply because an item has worn out and it is time for a new acquisition. Far from it. Simplicity steps up and scrutinizes the possibilities with a gimlet eye. Now, Dean Koontz may go for bunny slippers (or one of his characters may; the internet has not divulged) but I am not of that party. For one thing, if you leave them together on the floor at night you’ll wake up to a room covered in bunny slippers. Cheaper than carpet, perhaps, but easier to trip on. The other – slightly more serious – reason for turning down novelty slippers is that they don’t tend to be designed for durability. I myself have owned both tiger-foot slippers and punk dinosaur slippers, back when my feet were still growing. I remember them with fondness, although not enough fondness to want to get a pair now. Nor do I want to get a pair of slippers made of artificial materials. Artificial materials do not, in my opinion, come anywhere close to the natural marvel that is wool, when it comes to keeping yourself warm. I want warm feet, not overheated sweaty feet, thank you kindly. 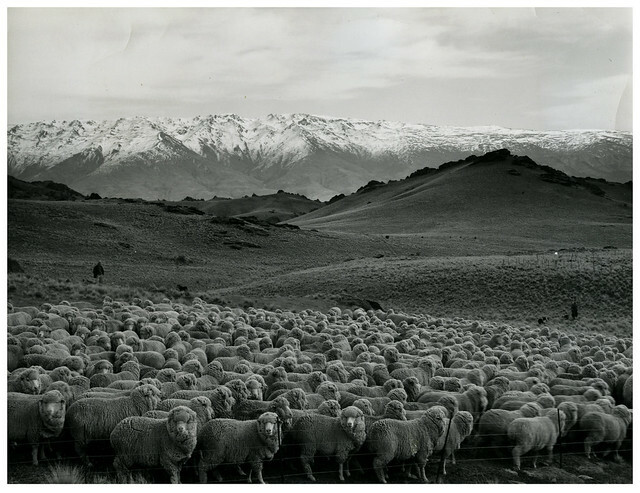 And since, according to Statistics New Zealand, there are nearly 30 million sheep in this country, acquiring a new pair of sheepskin slippers should not be too difficult. My dying pair are of the classic style with a seam up the front of the foot and a ‘ruff’ around the ankle. Now I am thinking of trying a different style for a change. I am by no means a proponent of change for change’s sake, but after a decade and a half of the same thing, even I am feeling that a bit of variety – a change of scenery whenever I look down – would not come amiss. Perhaps a sort of moccasin style, and perhaps in chocolate brown instead of the plain colour which is I believe known as ‘cane’ in the sheepskin slipper industry. I shall have to consider the options and see what is available in my size (usually not much). While it might take me some time to look at all the possibilities, instead of dashing down to the mall for the first slipper-shaped thing my eye falls on, I think that something I will use every day is worth the investment of time (and a decent price). After all, these will hopefully be part of my wardrobe for the next fifteen years.